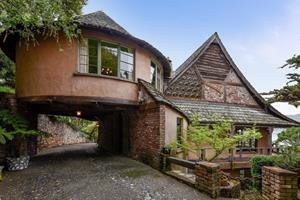 SAN FRANCISCO, April 17, 2019 (GLOBE NEWSWIRE) -- Sam Brown from Zephyr Real Estate-Marin County office has just listed the storybook home at 30 Cliff Road in Belvedere. One of five of the celebrated Heidelberg Homes, this beautifully-situated residence boasts views of the San Francisco Marina, the Golden Gate Bridge and Sausalito from nearly every window. /EIN News/ -- With its curved roof, rounded walls, intriguing staircase and playful colors, the home is filled with features sure to draw a smile and tickle the imagination. 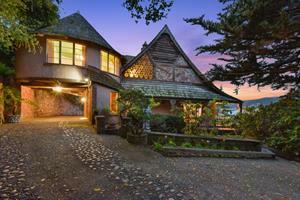 The four bedroom-five-bath picturesque home was designed by insurance-executive-turned-designer, Jack Heidelberg. Heidelberg moved to the Belvedere area in 1935 where he subsequently created some of the neighborhood’s most extraordinary dwellings, all historical components of Belvedere’s distinguished charm. Belvedere is only about one square mile in size with little or no commercial enterprises. It is a natural paradise and a peaceful respite from urban clamor. Dining and entertainment options are available at nearby Tiburon. The home is listed for $3.8 million. 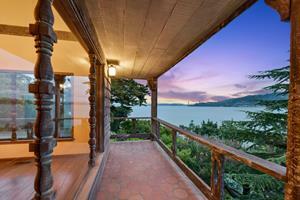 For more information or to schedule a tour, please contact Sam Brown at sambrown@zephyrre.com or 415.845.0204.